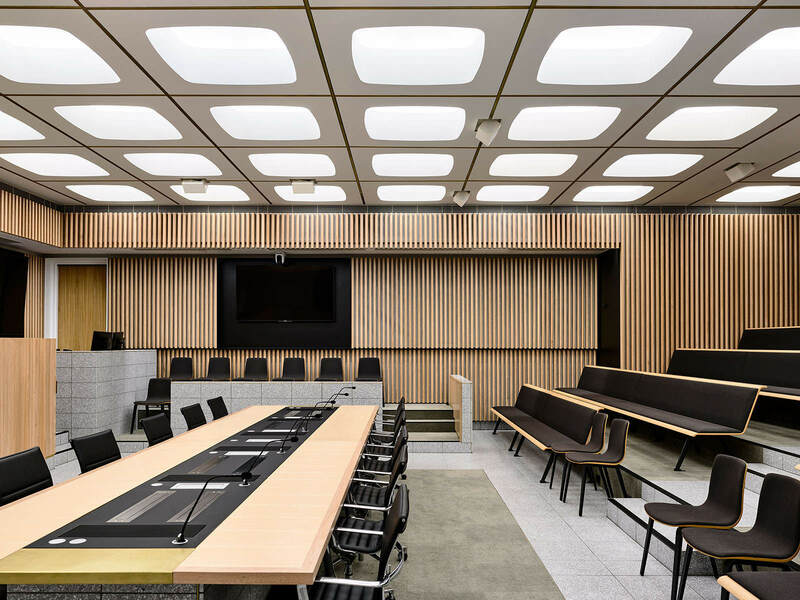 Conceived as a contemporary, student-centred learning environment, the primary function of the new Monash Moot Court is to provide an arena for moot competitions and a home base for the Law School’s internationally ranked Moot team. 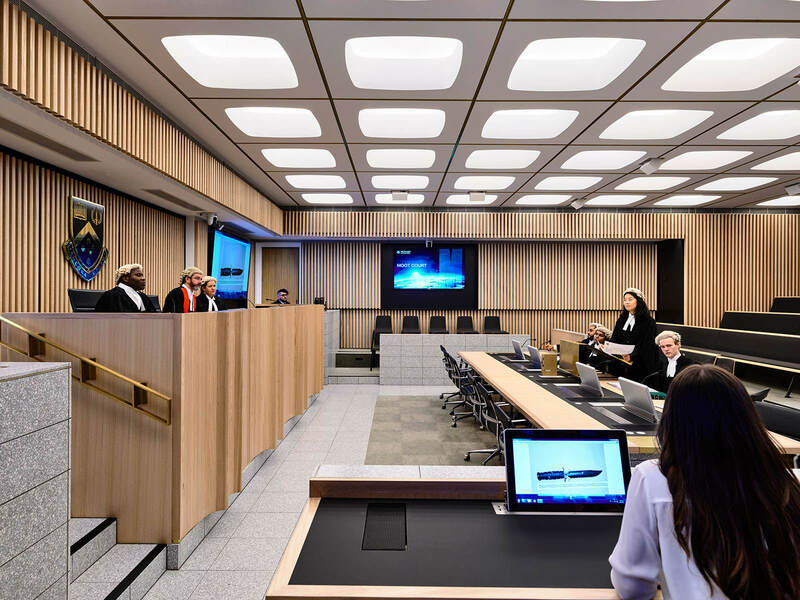 It is a place for Monash’s brightest legal minds to hone advocacy skills, refine courtroom etiquette and engage with leading industry professionals in a setting that rivals the country’s most prestigious Law Courts. 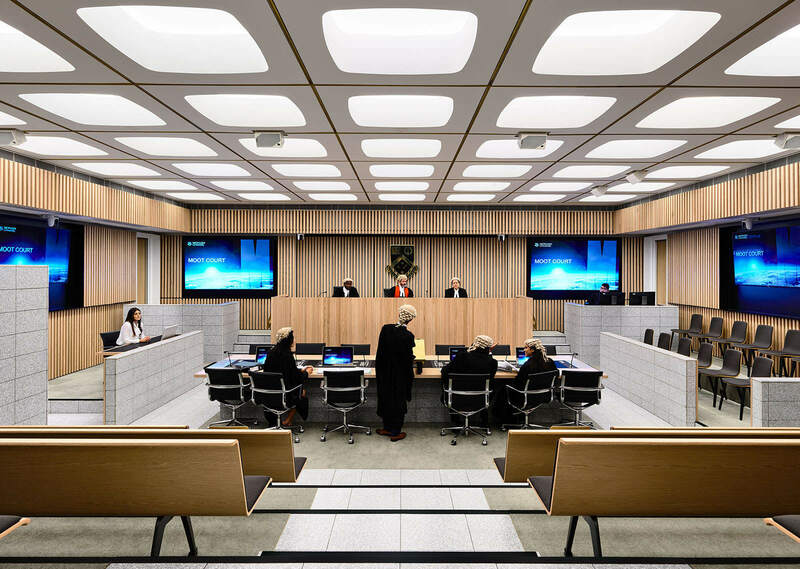 Located at the ground level and main entry point of the Monash Law Building at Clayton, the court forms the figurative heart of Monash University’s Law Faculty. 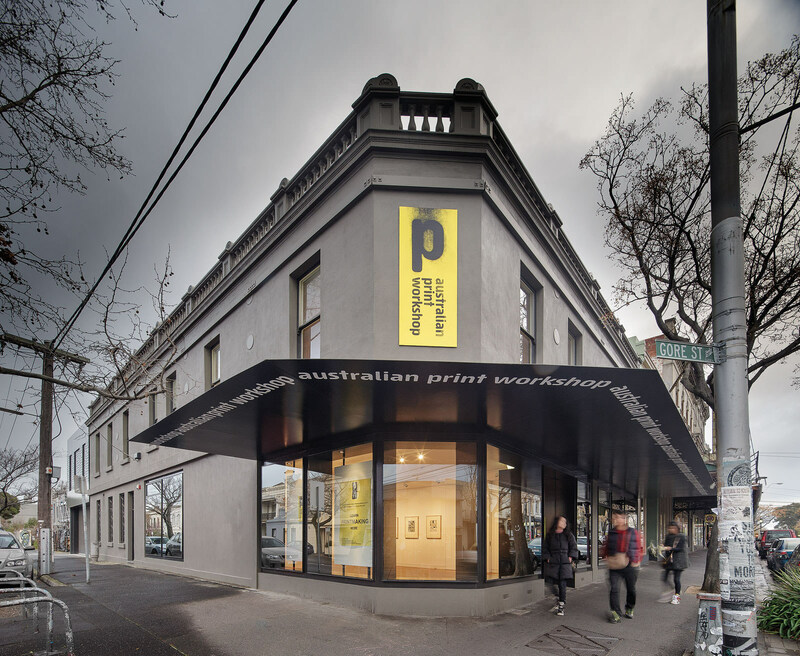 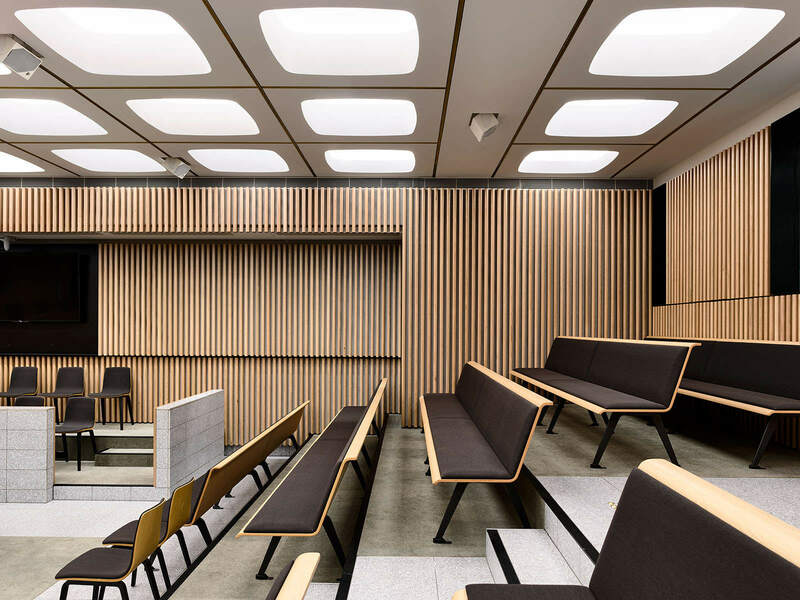 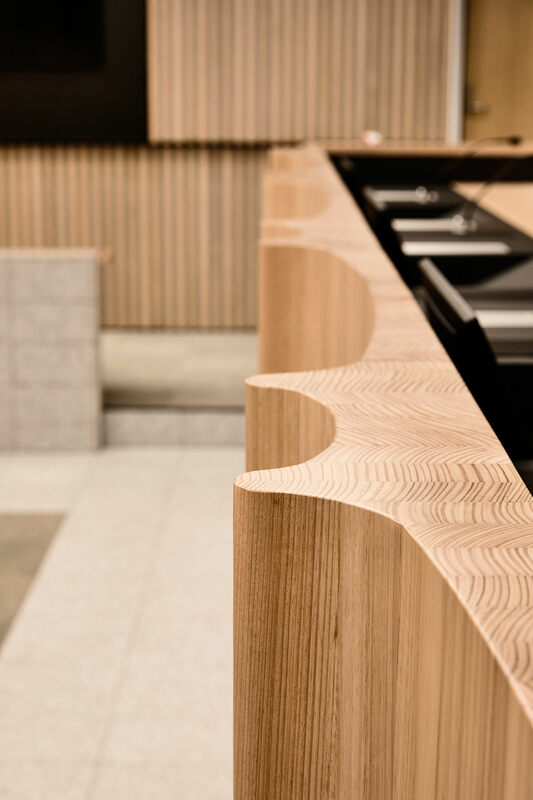 Its design captures the modern practice of Law as an evolving inquiry that requires creativity, lateral thinking, intelligence and respect through a sophisticated palette of materials including terrazzo tiling, Victorian Mountain Ash and brass trim. 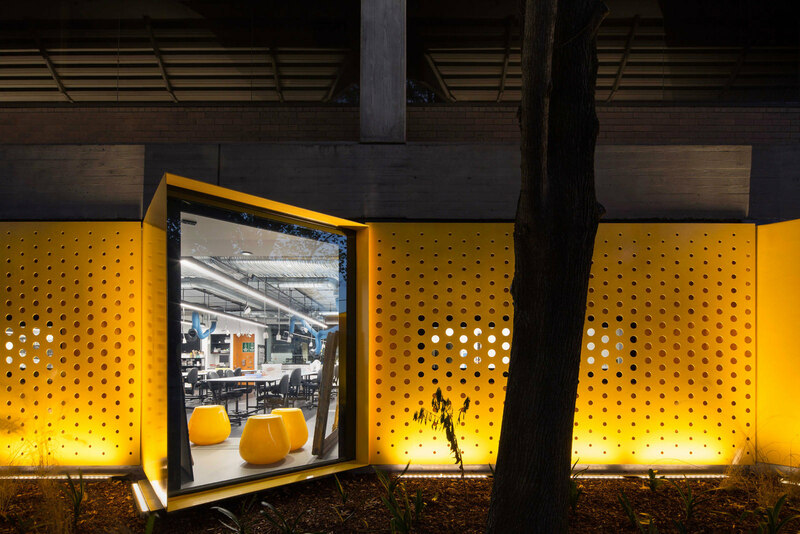 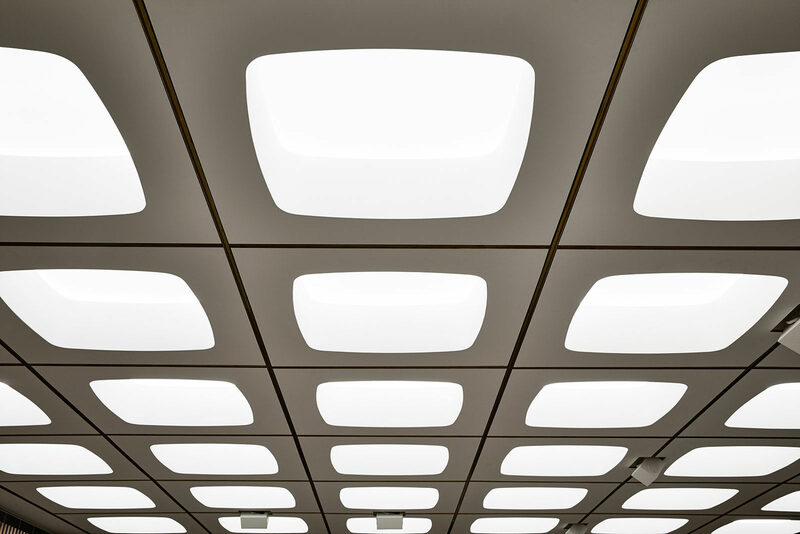 Bespoke lighting details highlight the original waffle ceiling structure and reference the structural expression of one of the first buildings on the Clayton campus. 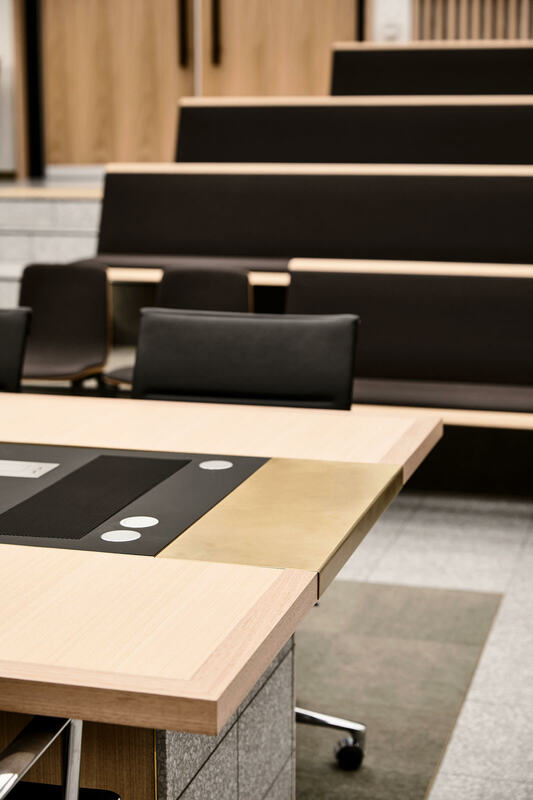 Equipped with cutting-edge court technology, the Moot Court is designed to function in a variety of modes: as a physical and virtual clinic, seminar room, conference and workshop space, public oration forum, and training resource for examining expert witnesses and ‘paperless’ court practices. 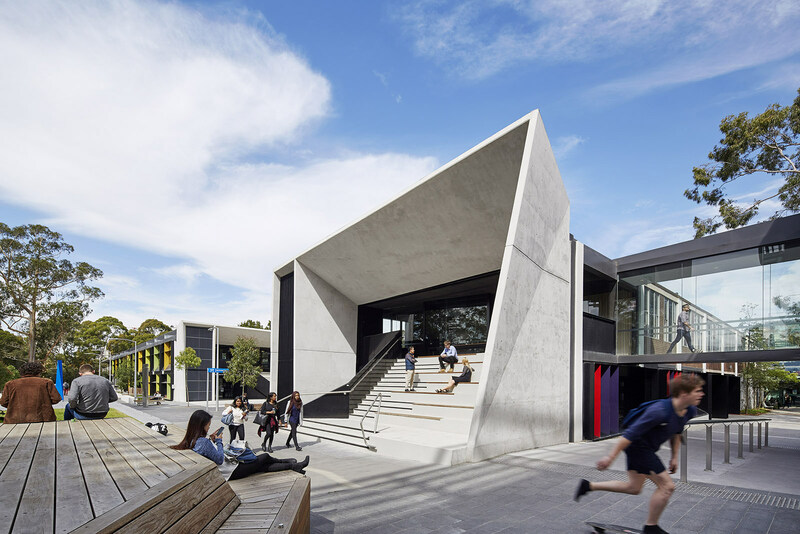 Part of an ongoing $16 million capital investment project for the Law Faculty, stage two of the project is currently underway.